Menlo Park, California Realtor continues to rank among the top performing real estate professionals in the United States. 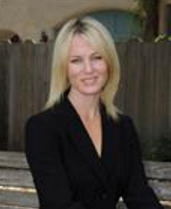 Keri Nicholas, a Realtor in Menlo Park, CA with Alain Pinel Realtors, ranked 27th nationally among real estate professionals by Real Trends. I show my clients we need to lead the market, not follow it, and it shows in the result. Keri Nicholas of Alain Pinel Realtors’ Menlo Park office was named one America’s top real estate professionals by Real Trends, as advertised in The Wall Street Journal. She is now a member of “The Thousand Top Real Estate Professionals,” a prestigious national awards ranking sponsored annually by Real Trends and advertised in The Wall Street Journal. Nicholas is now ranked in the top one half of 1 percent of the more than 1.1 million Realtors nationwide. According to The Thousand, Nicholas had sales volume totaling $182,557,200, ranking her 27th in the nation among real estate professionals.